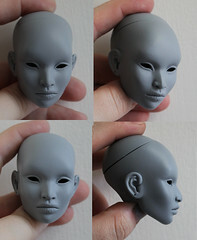 Charo (2014) sculpt was released in Paris Fashion Doll Festival 2014 with Atelier LE5 Chaumeuse and OOAK Predatrice. 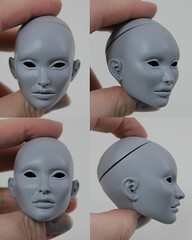 She has strong Latina features with parted lips with a gap between her front teeth, large eyes and a slightly aquiline nose. 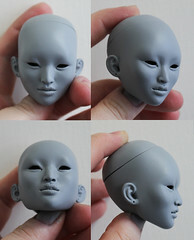 Charo is the most versatile of the Inamorata heads and can be painted to appear quite androgynous. 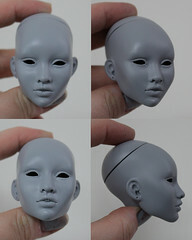 Charo sculpt is inspired by Dutch supermodel Lara Stone.